Growing up I experienced a recurring dream that, well, for me was a nightmare. And I'm convinced it contributed to the development of one of my fears. 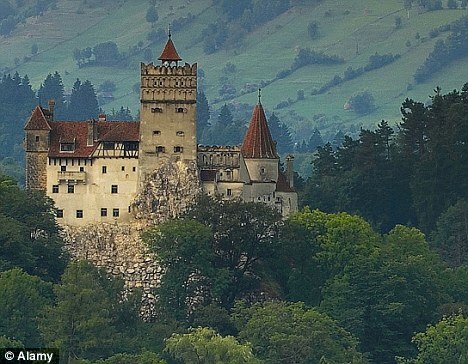 In the dream I was trapped in Dracula's castle, but not in a cage or anything. No, I was trapped underneath a computer desk. Huddled up in the space where the chair gets pushed in. Evidently Dracula, in the late 80's, was in to computers. While crouching and hoping not to be seen two things happened. One, Dracula would walk by every couple minutes, and I'd see just his long legs and his smooth gait gliding past me. Second, throughout the whole nightmare, moths were flying all around my head. As in, everywhere. 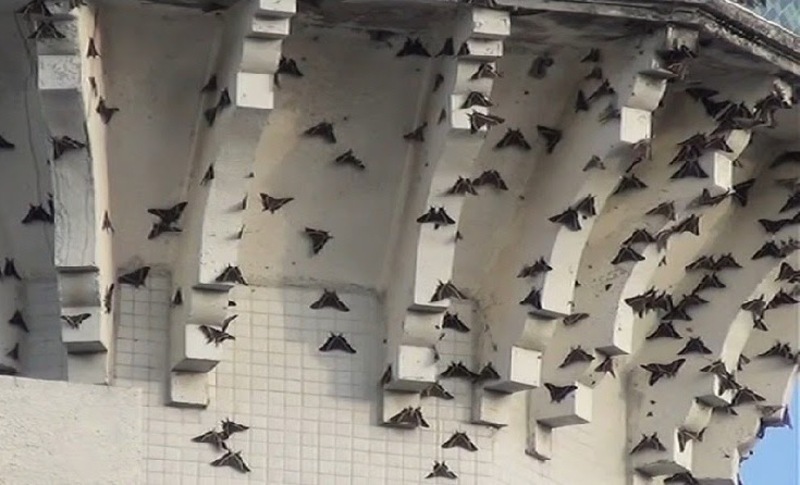 Not bats (which would have been the obvious choice), but moths. Everywhere. In turn, I am now adequately uncomfortable around moths. It was more like "afraid of" growing up, but I think I've come along nicely. I share that story because I'm about to talk about our church and liken us to moths. Which is counterintuitive to the 7 year old boy inside of me who remains curled up under a wooden desk and is more scared of the moths flying around his head than the deadly enemy pacing mere inches away. Researchers discovered, in the early 1800's, that the carbonaria variety of the peppered moth (the all black one) made up about 1% of the population in England. The typica variety (white with black markings, earning the name "peppered") was the common form. However, during the 19th century, a little thing called the Industrial Revolution happened. One of the side effects was that the trees in the countryside that used to proudly adorn white bark were now black as ash, polluted by man-made nastiness. The landscape changed, drastically, because of nearby factories polluting the environment from its manufacturing efforts. Toward the end of the 19th century, researchers noticed an almost complete reversal in the peppered moth population. Now, it was the black carbonaria variety who made up over 90% of the population, and the lighter typica were the rare ones. What we've discovered is that the predator of the moths, namely birds, could easily identify the black moths when resting on the lighter barked trees. So the black moths became easy prey, and died off more regularly. Yet when the industrial revolution literally altered the landscape with soot it became the carbonaria variety who had the requisite composition for survival and eventual thriving. It became the typica moths who stood out like a sore thumb, unable to adjust to the changing environment. The truth is, the social and religious landscape (specifically in America) has also undergone a radical shift in the last 100 years. And then again in the last 50, and now further still in the last 20. Churches that used to thrive in one sort of climate are now finding themselves exposed and vulnerable. Things have changed in society, and not all churches were ready for the altered landscape. Just off the top of my head here are a couple of ways the landscape has changed. Science: More people have accepted the role of science to, well, tell us true stuff about the nature of things. Skepticism: An increased sense of skepticism and cynicism towards organized religion. Equality: Movements towards seeing women, people of color, and gays as actual people. Information: Knowledge is power, and that power has been diffused. Anything is a Google search away, so everyone is an expert. Marketing and Advertising: Everyone seems like they're trying to sell you something. Because, well, they are. Entertainment: Screens everywhere. We have no attention capacity anymore. Entertain us or be ignored. Morality: Goodbye days of puritanical shame culture and behavior modification. Hello... something else? Churches in America used to know the trees in their environment, and they knew how to rest on them safely to avoid danger. But the trees are different now, if there's even any trees at all, and changes like those listed above have made it so that churches who haven't adapted, adjusted, and evolved have now become increasingly irrelevant and rare. The dying off stats have been well documented. The typica peppered moth is getting slowly picked off. 8,000 churches close their doors every year. Only 20% of the country goes to church regularly. Each year about 3 million people enter the ranks of "former churchgoer." And over half of the churches who didn't close their doors, over the past four years, haven't added one single person to their congregation. Rachel Held Evans, author of the newly released "Searching For Sunday," wrote a great piece unpacking why younger people are leaving the church. She pointed out that people aren't interested in a change in style, but a change in substance. And this is where the whole peppered moth illustration breaks down a bit. Because the goal isn't to just change the way we look. Churches have tried that, and generally it fails. Like Rachel said, "Having been advertised to our whole lives, we millennials have highly sensitive BS meters, and we’re not easily impressed with consumerism or performances." But if churches and pastors are willing to face some of the hard truths that the landscape has changed (and is still changing), and if we understand the ways in which it is changing, and if we loosen our grip on our insistence that we have all the answers, and if we meet people where they are at instead of insisting they look more like us, and if we hear the call of the gospel to be a call of radical hospitality instead of a recipe for a superiority complex, and if we acknowledge that we have a lot to learn from science and biology and psychology and geology, and if we offer an oasis of deep rootedness that provides genuine and authentic connectivity, then I don't know... maybe we can find a way forward and not just survive but thrive. In my recurring dreams as a kid I was distracted by the moths flying around my head, oblivious to the real danger: Dracula. Many churches, I think, are distracted by things like silly culture wars, and trying to control the nation's morality, and fighting against science and other religions, and making money. But the real danger is that the landscape has changed. And in that change we've been exposed in some areas, and left behind in others. So what are the substantive changes that churches need to make in the coming years so that we don't just survive but truly thrive as communities who are going about the business of bringing the Kingdom of God to earth as it is in Heaven? These are the sorts of questions that drive us at Sojourn Grace Collective. And while we may not have a ton of answers, I feel like we've at least got a grasp on some pretty good questions. The charcoal drawing above of the Peppered Moth was done for me by my friend Traci Martin. Among many things, she draws this little two inch "tiny charcoal" pieces, and she made this one for me after I referred her to the phenomenon of the Peppered Moth. Thanks Traci!